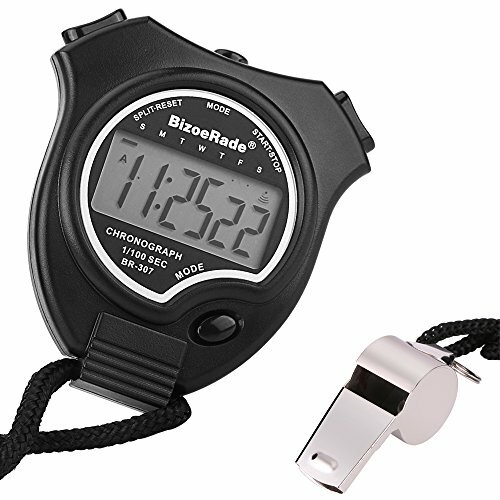 BizoeRade Sport Stopwatch is a professional stopwatch, fits for athletes, athletics, runners etc. Package comes with a stainless steel whistle, which is also essential for sports. These combination products can meet all your basic needs. If you have any problem of our product, you can click on "Seller contact" button in your Amazon account to email us. We are looking forward to helping you and will contact you as soon as possible. 30 Days Money Back & 5-years warranty. Any questions you have, please do not hesitate to contact us. EASY TO USE, Small in volume, Easy to carry, Include a little screwdriver for changing the battery. Included Five Language Instructions(English,German,French,Italian,Spanish).Warranty:30 Days Money Back & 5-years warranty. If you have any questions about this product by BizoeRade, contact us by completing and submitting the form below. If you are looking for a specif part number, please include it with your message.